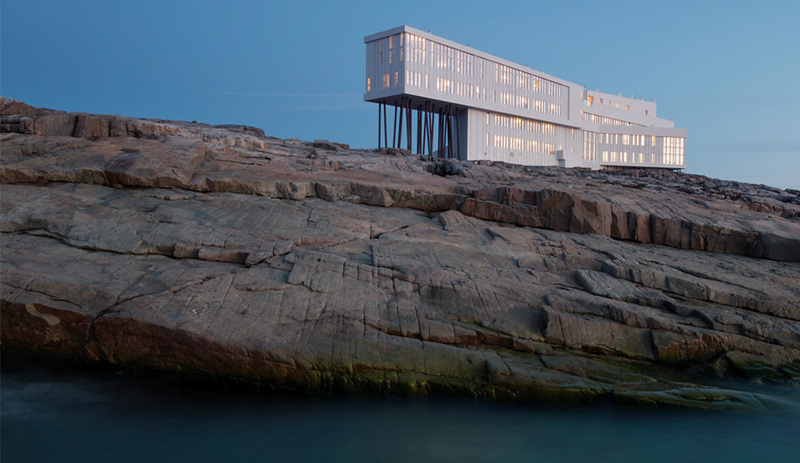 Responding to the local vernacular of building on stilts, Fogo Island Inn’s volumes are supported by steel columns drilled into the bedrock. Views of the land and the ocean are highlighted throughout, so guests continually confront the beautiful though inhospitable terrain. 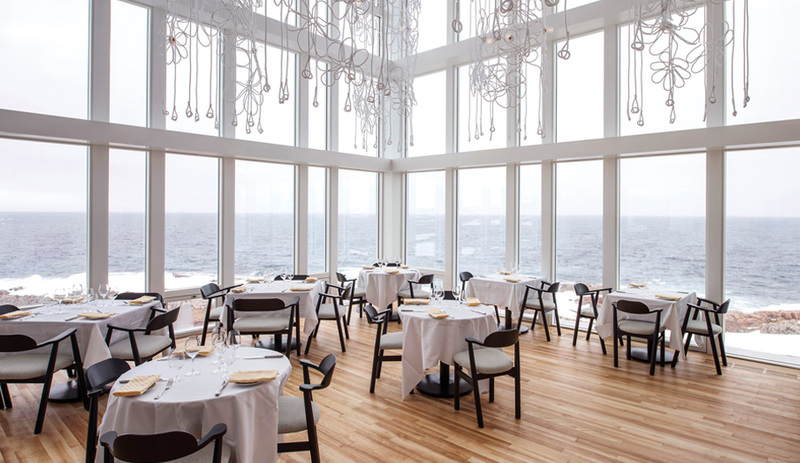 The restaurant serves new Newfoundland cuisine, based on fresh-caught fish and locally foraged vegetables and berries prepared by chef Murray McDonald. As with traditional Newfoundland houses, the hotel’s main entrance is at the back. 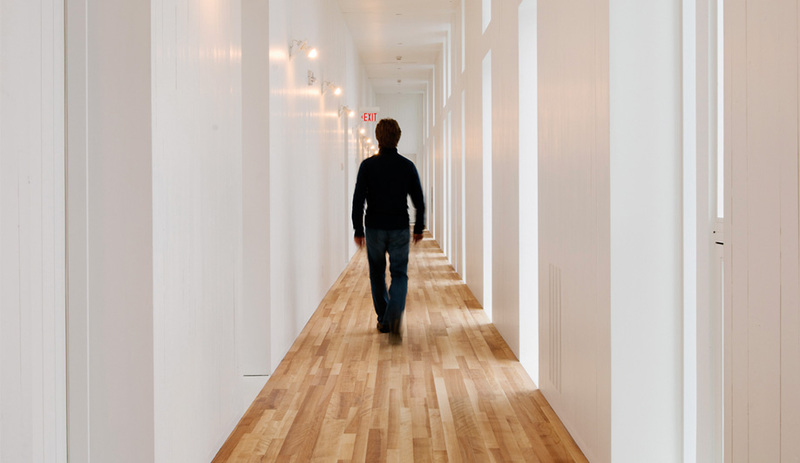 The 29 guest rooms, which occupy each of the four floors, are arranged along a single-load corridor with windows facing north to the ocean. Most of the rooms are heated by a cast iron wood-burning stove. 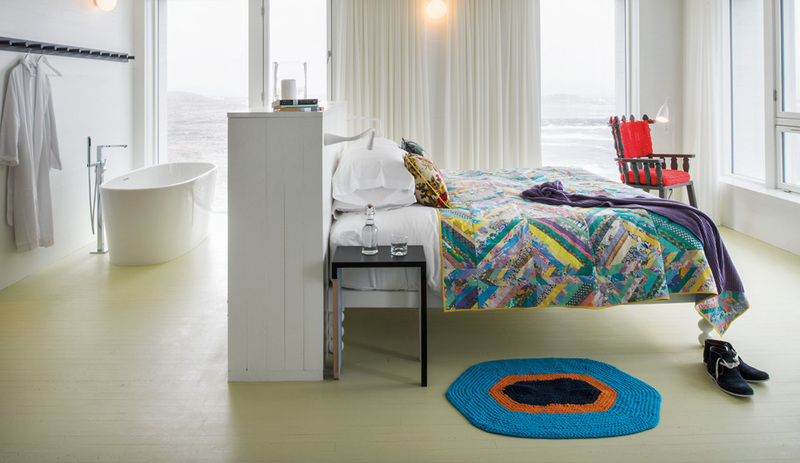 All of the interior accents, including the hand-stitched quilts, hooked rugs and furniture, were crafted by local artisans. 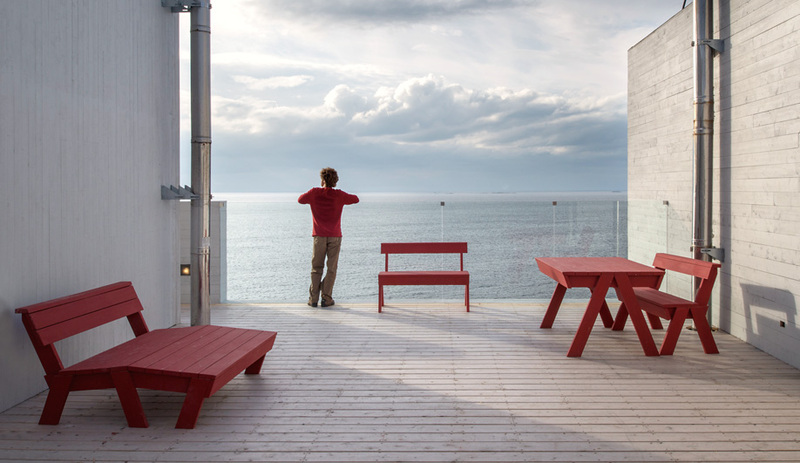 The ­ultimate escape, this stilt-supported inn on the rugged island celebrates Newfoundland’s raw beauty. 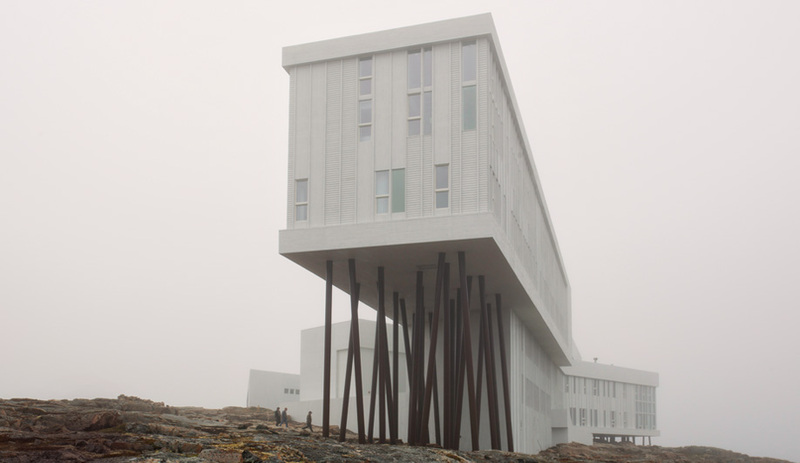 The cantilevered wings that make up Fogo Island Inn, a cruciform structure clad in indigenous spruce, are set at peculiar angles, appearing to be held up by slightly off-kilter stilts. This careful detail embodies a particular brand of Newfoundland humour – equal parts sly wit and bravado, born of ingenuity and necessity. 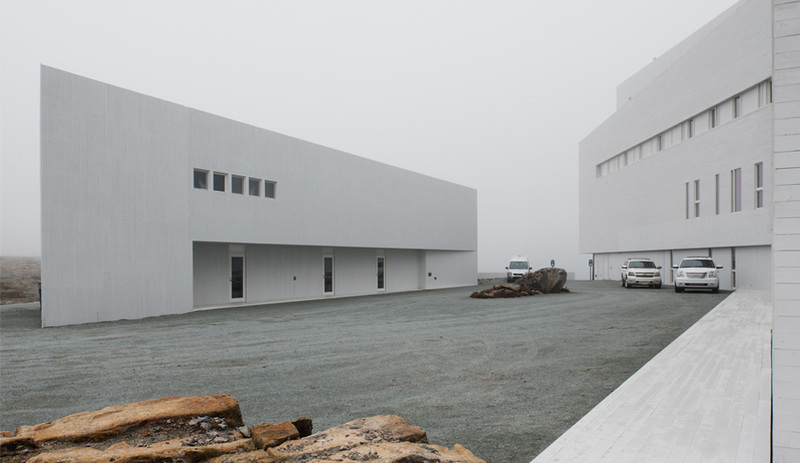 The angles suggest that the 29-room hotel is so cleverly designed, you could remove all of the supports and it would remain standing, despite the snow, sea spray and occasional gales from the wild North Atlantic pounding at its doorstep. The stilts also recall the quaint decay of vernacular architecture, the fishing flakes and stages that have fallen out of use with the demise of the cod fishery. 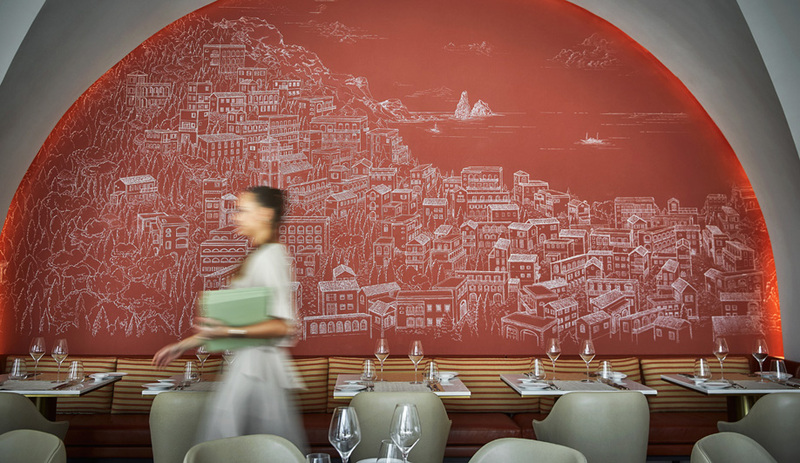 In this reference lies the seed of the hotel itself, which was en­visioned as part of a revitalization scheme for the declining island economy. 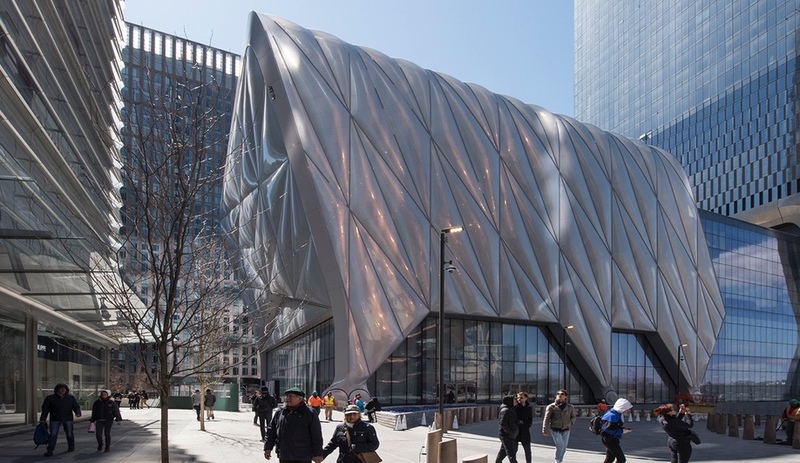 It is a project of the Shorefast Foundation, a charitable organization whose president, Zita Cobb, grew up on the remote island, a 45-minute ferry ride from the mainland. 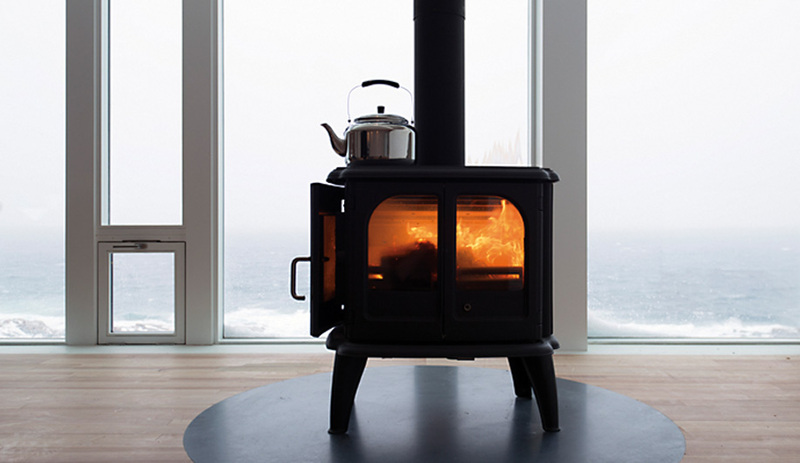 Her vision includes bringing visitors to Fogo Island to take in its great stretches of barren coastline and its sublime terrain, which are swathed in weather of all sorts. In turn, hotel profits go toward future community development. The best view of the inn arrives without warning, along the drive from the community of Tilting, near Tina’s Convenience Store in Joe Batt’s Arm. 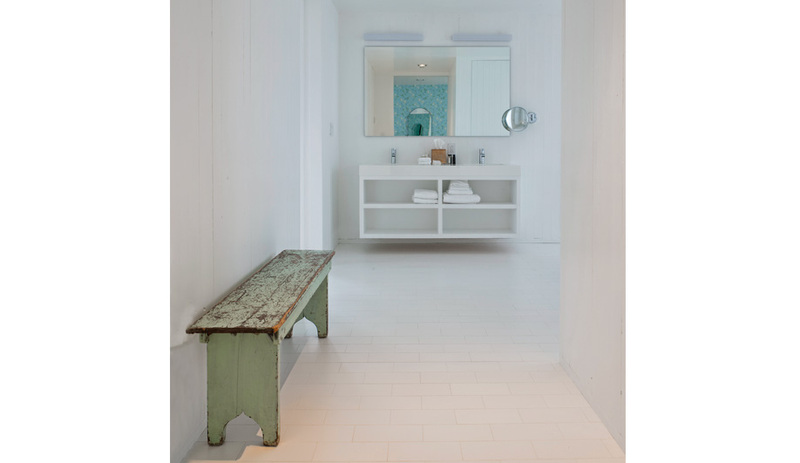 The white cladding shimmers in the sun-crimped, wavering ocean haze, resembling a seagull about to alight. As well as the usual hotel amenities, the four-storey inn has a library, an art gallery, a cinema, and a rooftop sauna. According to Saunders, plans for the hotel involved thousands of drawings and many conference calls with the owner from all over the world. 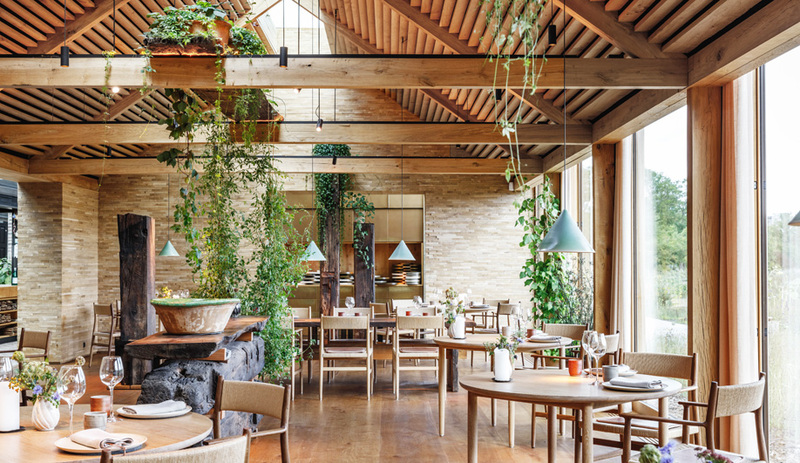 The building’s footprint was even rotated a few times, to achieve the perfect orientation for a view of the sunset from every table in the dining room. During my stay in June, I ate juniper-smoked turbot, caught hours before by local fishermen, and a dessert of goat’s cheese ice cream and bakeapples, while a boiling red sun tinted the white dining room in pink and gold hues. 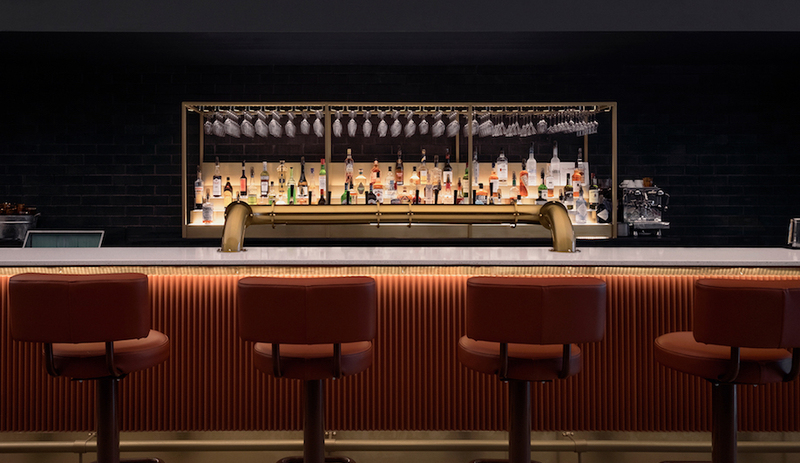 The interior was conceived in collaboration with a team of international architects and interior designers who conducted a five-week workshop with local craftspeople. Together, they created all of the interior accents: wallpaper, furniture, light fixtures, quilts, hooked rugs with murals of island life, even the wooden baskets that arrive at guests’ doors in the early morning with fresh pastries and coffee.